Indian brides have come far from the days when they were dressed for the occasions by their friends and families. Indian brides have come a long way from being young children who aren’t informed about the world. These women have traveled across the globe and more than well aware of the beauty that exists outside the four walls of their home. Every bride now knows exactly what she wants and how she wants to look on her wedding day. Keeping this in mind, salons like Just Flaunt come completely prepared with bridal packages that make the bridal look like a queen for the day! 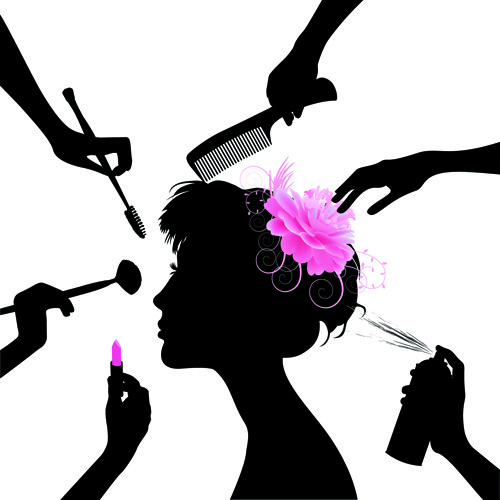 When it comes to selecting salons with the best bridal packages, there are a few things that need to be kept in mind. Weddings are occasions that happen once in a lifetime and when it comes to picking the right bridal packages, Just Flaunt has a host of options you can choose from. There are different styles you can choose from, from the bridal packages at Just Flaunt. Are you having a traditional wedding or a more modern wedding? Not to worry. Just Flaunt has all these and more! From head to toe beauty services that include a full body massage, pedicure, manicure, facial, hairstyling, waxing, haircut, hair highlighting, hair coloring, eye makeup, bleach, and threading, the bridal packages from Just Flaunt has everything that makes sure you look like the most radiant bride on your special day. Weddings bring with them a lot of stress and pressure. Planning requires a lot of effort and late nights. Looking after your health and beauty during this time is extremely important. With bridal packages from Just Flaunt, our team of more than qualified specialists knows how to make you look like the queen you deserve to be. Just Flaunt has an added bonus – it’s the only salon in Hyderabad that offers wine fine facials! These make your skin glow and sparkle. Make the most of our packages and with the bridal packages from Just Flaunt, be the queen you always were supposed to be! From creating the perfect curly hair or lips that have just the right pout, beauty updates have always helped in creating the perfect look for any occasion. Be it a weekend out with a group of girls, a picnic in the park with your boyfriend or a dinner with the parents, these updates are what every girl needs. Beauty Updates for every look. Just when you thought the vintage season was out, it’s back with a bang. The 90’s era is back even though if it’s not for long. Into the mix come 9 shades that have come back in style. Blue, purple, lavender and burgundy are added to the mix, creating just the right look for this season. The Christmas Eye Shadow Palette from Dior is probably the prettiest palette in this season so far. When sequins and eye shadows collide, nothing could be more magical. Be it greys and charcoals or mauve and chocolate, this exquisite palette helps create the perfect look for any time. This fully stocked kit contains everything that is needed to help with the perfect skin for this season. Everything is designed to be used at night which means more time for all those lovely formulas to work their magic so you’ll wake up looking fresh as a daisy, how utterly dreamy! With the Christmas season coming upon us, beauty hacks and treatments have become every girl’s prerogative. Glittery lips, twinkly eyelashes, soft velvets or the classic vintage look, these beauty updates make for the most glamorous and glittery Christmas season so far. Glitz, glamour, glitter and sparkle make for the perfect look that everyone aspires to have this season. Everyone wants to look their best. 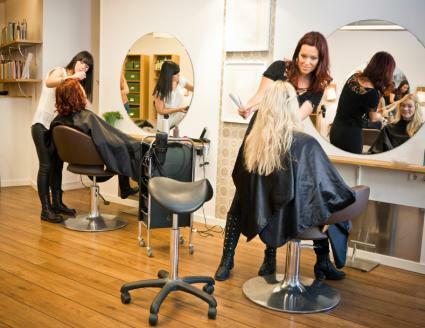 Picking a ladies salon isn’t just about the brand name. It’s about picking the right kind of packages that seal the deal. Just Flaunt has a host of tailor made beauty packages that are perfect for every skin tone. Beauty packages enhance already existing beauty. A typical beauty regime done at home would consists of methods that have been followed in the past. However, a defined beauty package by Flaunt consists of a carefully curated beauty package that is just right for every occasion. With the wedding season coming on in full swing, it’s become even more evident that beauty packages have taken on a whole new turn. Flaunt recognizes this need and has increased the need for beautification by giving these beauty packages to people who want them. There’s nothing quite like that feeling of a brand new look. A beauty package does exactly that. Be it a manicure or a pedicure, or a relaxing facial, a beauty package is designed specifically to factor in all these things. What about a body massage is so fascinating that puts a bounce in your feet? What about that extra layer of special skin care that adds a glow to your face? So many choices to choose from! How do you get the right package? How do you make the right choice when it comes to your skin and beauty, the right beauty package is the best thing that could happen. When you want to feel on top of the world, or have got someone special in need of serious pampering, these supreme packages have got everything you need! Flaunt designs these beauty packages with the idea of enhancing already existing beauty. Flaunt knows how important beauty packages are and each package is designed everyone look a better and more beautiful than their original self. Pick Flaunt and visit the website the way they want to. At Just Flaunt, you can make a choice from a Skin Lightening facial through to our exclusive Red Wine procedure. Despite the occasion and the time on your hands, we have facials that work wonderful for you. 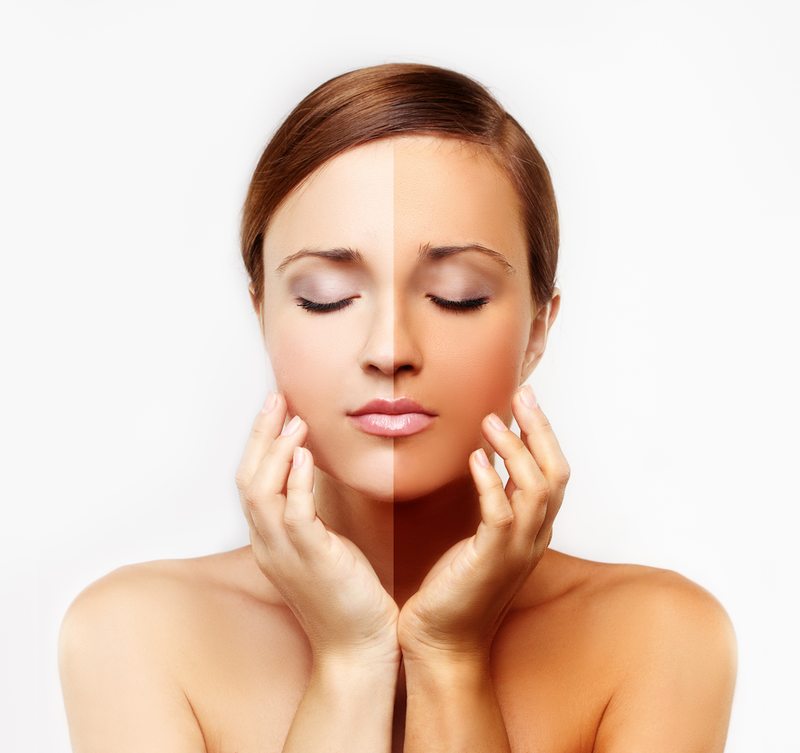 Our Skin Lightening facial fights irregular skin tone and impart an even fairness to the skin. By this we made a prominent place under facial deals hyderabad. Our Pure Moist facial is what you need for one of those days when your face experiences dryness and lifeless. This facial leaves your skin soft and sparkling throughout the day. Drive out blemishes and blackheads with our Tea Tree facial. This all-natural blend of handpicked ingredients leaves you looking spotless. If you feel a bit depraved, try our Fruit facial. The goodness of fruits is legendary and vitamins found in fruits are skin friendly nutrients for your skin health. If you experience self-tolerant, nothing beats our Chocolate facial. It’s great for your complexion and leaves your skin gleaming and feeling like new. The richness of vitamin C & E also fights premature ageing by boosting the production of collagen, which provides strength and structure to skin. We have other mesmerizing facial packages such as fruit facial, red wine facial, tea tree facial, gold facial which are by themselves the best for the skin. If you feel you don’t have time but want your face to look glowing, then no worry. Our Insta Glow facial is what you need, no matter what the occasion may be. Or, you could try our Pearl facial which leaves your skin with a soft radiance and you feeling special. Our Pure Gold facial is very useful if you want to leave your face appear like a million bucks. We use 24-karat gold dust in this facial. This facial leaves your skin radiantly healthy because it cleans, nourishes and rejuvenates the skin. The Platinum facial is another great choice in facial deals hyderabad. It works from deep within to revitalise and nurture your skin. It’s also a great skin energizer and boosts production of collagen. Rich in purity this facial also helps fight signs of premature ageing. Our unique Red Wine facial is a perfect choice for repairing skin damage by harmful rays and pollution. It also helps fight the effects of gravity on the face and neck. Facial deals Hyderabad makes its available especially at Just Flaunt. Experience with your loved one’s the super-gentle blend of special skin treatments suitable for all skin types. Best Pedicure in Hyderabad is here. Book Now. What do Aishwarya Rai Bachchan, Katrina Kaif, The queen of London, and the woman next door have in common? They all love a long, relaxed hour of a pedicure session. And you should too! But don’t settle for anything less than the best pedicure in Hyderabad. The best pedicure session is the one that rejuvenates your feet, mind and soul. Did you know? The soles of your feet contain more sweat glands and sensory nerve endings per square centimetre than any other part of the body. So, basically your feet are much likely to stink and cause enough bacteria until washed rigorously. That’s some stinky information. Literally! Most of us tend to ignore our feet while grooming other parts of ourselves, overlooking the fact that our feet goes through so much torture and yet manages to take us closer to our dreams, each day. Show them some love, ladies. Go for the best pedicure in Hyderabad. Here, at Just Flaunt Salon, we indulge in a range of pedicures that you might want to try-out. So go ahead girls, treat yourself to some “Pedi-time”. 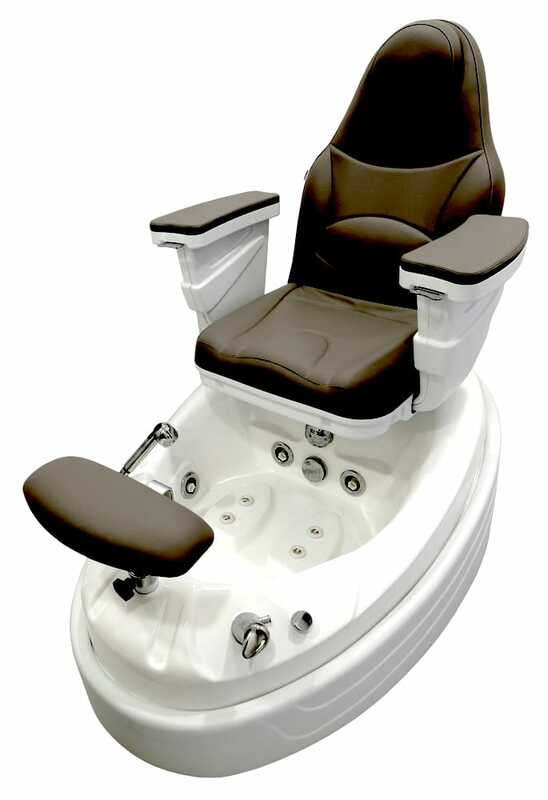 Gold-dust pedicure: This spa pedicure is one of our premium services. The session lasts longer than the others, helping the skin to exfoliate. The massage helps in blood circulation. It is a luxurious treatment containing tiny orange crystals that smoothens and nourishes your cuticles with botanical extracts. This one’s considered the best best pedicure by many. Shea butter and mint pedicure: This exotic pedicure session will leave you craving for more. We can bet on that! The rich, creamy and smooth texture of Shea butter, and the refreshing coolness of mint has made a huge list of fan-followers already. And why not, when there’s everything divine, intertwined together. Classic pedicure: This is for all those who love to go classic. This pedicure treatment helps your feet breathe again without taking much of your time. The usual scrub and massage will make your tired feet look happy and clean again. Radiant pedicure: In case you have to run to an office party, birthday or any other event but hate how cracked up your feet looks, this pedicure option is the best for you. Make your feet look radiant in no time. And the best part, you ask? You get to choose your favourite nail colour to add a bit of extra jazz to your pretty cuticles. So ladies, do not worry about a sweaty feet or a cracked up heel, because Just Flaunt has got you the right fix. A fix, that some feel is the best pedicure in Hyderabad. To book an appointment for the best pedicure Session, click here. Alternatively, call us on 9550570707. 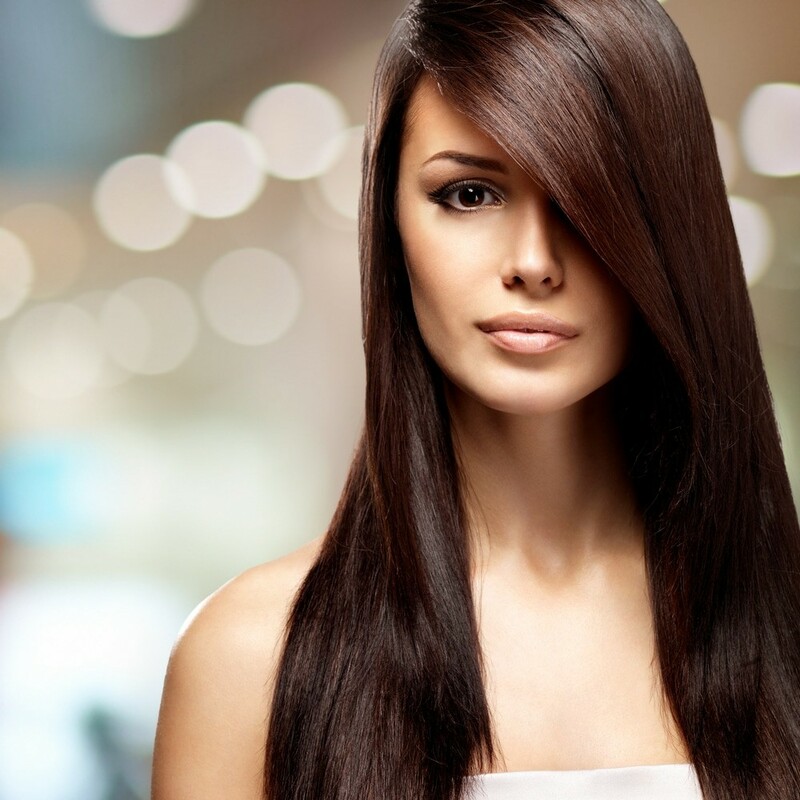 Here are top things that you should plan before a permanent hair straightening session. Although curly hair might be fun to flaunt every once in a while, straight hair, you have to agree makes life much easier. Bad hair days are not so bad and you spend the least number of hours on your hair before running like a ninja, for work. Permanent Hair Straightening doesn’t just need a good Stylist & products, it also needs consistent care from your end. Permanent Hair Straightening – What does it take? One style for life; or almost: So, once you are through with this permanent hair straightening treatment, you will have lovely, manageable straight hair that you will so, so cherish. But ladies, nothing comes without a cache. If you one day decide to curl your hair, to go with the beautiful dress you recently purchased, just sit down and say NO! Any other treatment might tend to prove harmful, and may cause more damage. Only once the permanent hair straightening treatment wears away, you are free to experiment again. Realize you are making a commitment: “Ek bar jo mainay commitment kar di, fir mai apnay aap ki bhi nai sunta”. Yes, this line from Salmaan khan’s movie should be your mantra. The procedures to be followed after getting a permanent hair straightening treatment might become mundane or even tiresome, but, you have got to do it. No short-cuts here. Say it out loud. And clear: You HAVE to talk to your hair stylist. Tell him/her about your entire hair history. Your crazy try-outs at a pajama party with your friends, or that period when you loved everything pink so you dyed your hair too. Or when the monsoon took away most of your lovely mane to the drain. Everything. Once this happens, your stylist will be able to give you the best advice for that upcoming permanent hair straightening session. Chemical straighteners might also cause some hair damage. Therefore, before you plan to indulge in a treatment permanent hair straightening, it is essential you know the products that will be used on your hair as well as the stylist. To book an appointment for a Permanent Hair Straightening Session, click here.